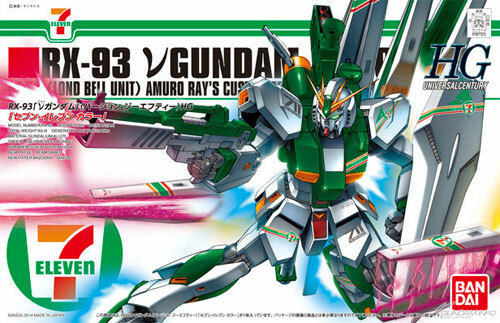 It seems like a annual event that 7-11 department store in Japan would roll out a custom Gunpla and 2014 is RX-93 Nu Gundam! 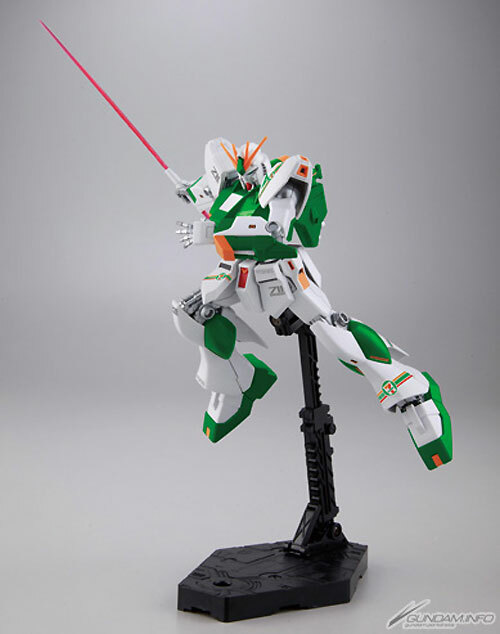 It will be rolling out this month in Japan as a limited item. You can see that the color theme was Green, Yellow and White. Much of 7-11 branding lies on the decals. 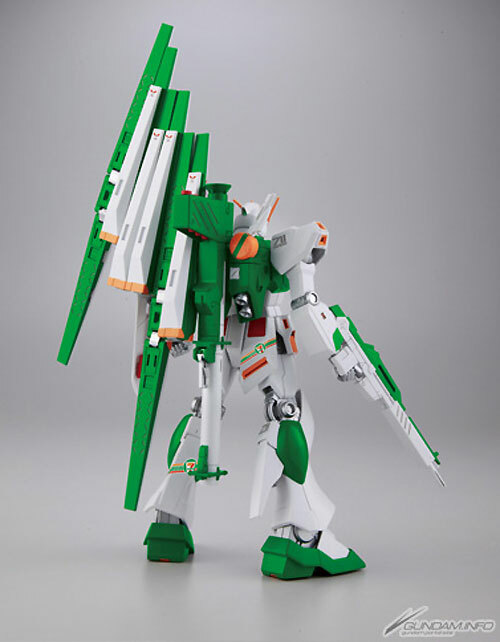 This HG set is for listed price of 2,625 Yen. If you happen to be in Japan, it would be a good to get item. Saw a review of it. 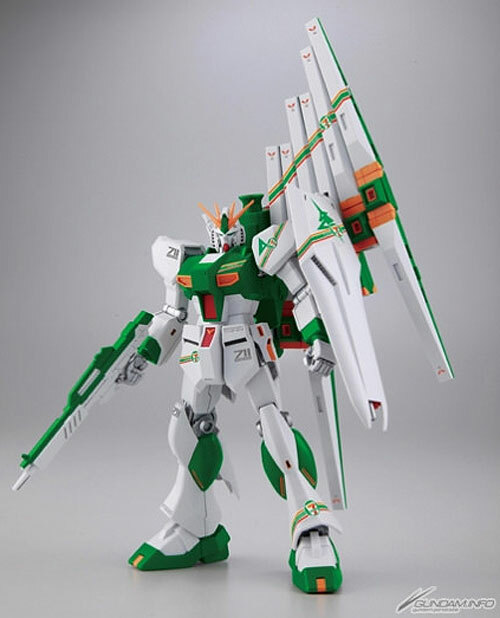 Overall the colour scheme and marking placements look more fitting than that of HG Strike Freedom's. I really wish that 7-11 stores here in the US would offer the same,or that one day I get to visit Japan.